But go to any Starbucks, McDonald’s, the airport or even the Library, and you will find yourself on a NATted network. How to get on the IPv6 Internet when stuck behind NAT? Enter the VPN (Virtual Private Network). But the typical Wireguard VPN only has a roaming laptop at the far end. I wanted to share the IPv6 goodness with my friends, which meant that I wanted to have an entire IPv6 subnet available in IPv4-only NAT-Land. OpenWrt to the rescue. OpenWrt is an open source router software than runs on hundreds of different types of routers. And Wireguard is a package that is prebuilt for each of those routers. There’s even a friendly web GUI frontend to configure Wireguard! What’s not to like. Before we get too far, you will need an address plan. Since IPv6 will need a network for each link (almost, we’ll use link-local for the point-to-point link), we need a plan so that packets can be routed down to R1 at the far end of the WireGuard VPN from the internet. Add a new interface called WGNET. This is quite easy using the OpenWrt LuCI Web GUI. Under Network->Interfaces, scroll to the bottom and click on the Add New Interface button. With any luck, WGNET will connect to the peer. The key info is the latest handshake. If that isn’t there, then the VPN isn’t up, and you will need to go back and re-check your configuration. I am still working on it. The real solution would be to leave the Peer IP and Port info blank, and let WireGuard figure it out. But alas with OpenWrt 18.06.1 that doesn’t work. Network Latency. Anytime you tunnel IPv6 inside of IPv4, the network latency of IPv6 will never be less than that of IPv4. Therefore the performance of IPv6 will not be shown at its best. A tunneled IPv6 connection is always less desirable than a native one, but using WireGuard does allow one to use IPv6 when stuck in the deserts of IPv4 NAT-Land. And by using it with OpenWrt, the Oasis just got roomy enough to share with your friends. This is a document I’ve been sharing with friends for a couple of years, which I have “sanitized”, as in replacing real addresses with documentation addresses, updating the diagrams for a general audience, and generally proof-read. I will be grateful if you report issues with the doc, to my email which is in the heading. I have recently been exploring Docker containers on SBCs (Small Board Computers), including the Raspberry Pi. The Docker eco-system is impressive in the amount of preconfigured containers that are available. However, as I have written before, it falls down on networking support, specifically the bolted-on-after-thought IPv6. 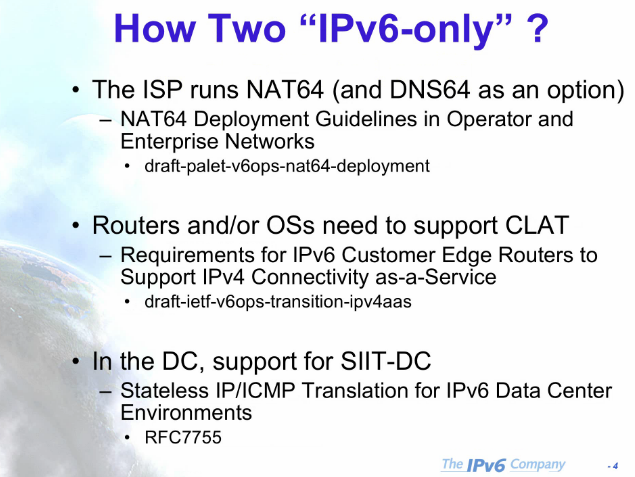 The best one can do is NAT66 on IPv6, which just perpetuates the complexities (and evils) of NAT. The biggest problem with the Docker IPv6 implementation is that it was an after thought. Unfortunately, this is not uncommon. Think of adding security after the fact, and you will quickly discover the poorly implemented security model. Docker is limited in this kind of after-thought thinking. Another container technology which can also run on SBCs is Linux Containers (LXC/LXD). 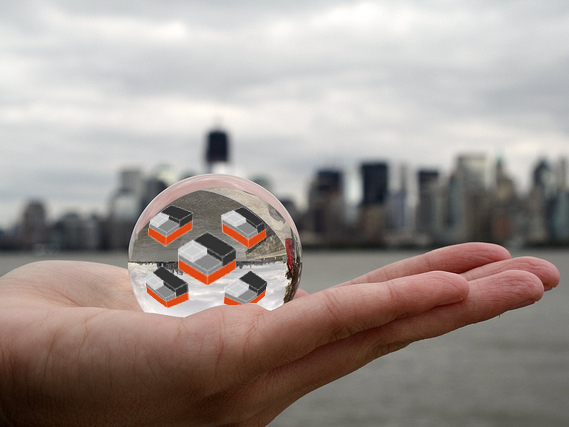 LXC shares the host’s kernel and is lighter weight than traditional Virtual Machines. But each LXC Container is isolated via namespaces and control groups, so it appears to have its own network stack. And therefore is more flexible than Docker. In this article I will treat LXC and LXD as LXC, but they are separate. LXC (or Linux Containers) existed first. Versions 1 & 2 created Virtual Machines. With version 3, LXD was added, which provides a daemon that allows easier image management, including publishing images and an API to control LXC on remote machines. LXD complements LXC by providing more features. Unfortunately, the raspian kernel from raspberrypi.org doesn’t support namespaces. Change sdZ to the device of your SD Card. Be careful with this command, if you give it the device of your boot drive, it will happily overwrite your boot device. If you are using Window or a Mac, I suggest using Etcher which makes creating bootable SD Cards easy. Make sure you follow the steps on the Ubuntu page to set an initial password for the ubuntu user. Best Practices is to setup a non-privileged user which you will use most of the time. This can be done with the adduser command. Below I have created a user craig with sudo privileges. The key networking difference between Docker and LXC is that with LXC one can attach a container to any bridge on the Host. This includes a bridge on the outside interface. Via transparent bridging the container can have unfettered access to the existing IPv6 subnet, including picking up Global Unique Addresses (GUAs) without the host having to do router-like functions, such as adding routes, auto propagation of prefixes (with DHCPv6-PD), redistribution of routes, etc. Again, things which Docker doesn’t support. Once you have the right kernel and distro, configure a bridge br0 which will in-turn have the ethernet interface as a member. This is best done from the Pi itself using a keyboard and monitor, rather than ssh-ing to a headless device. Because when you mess up, you are still connected to the Pi (believe me, it is easy to get disconnected with all interfaces down). Logically the bridge, br0 will not only be attached to the eth0 interface, but later on, the LXC Containers as well. 1) Install brctl the utility which controls/creates linux bridges. And install the ifupdown package which will be used later. Because Ubuntu uses systemd we must let systemd know about the bridge, or the IPv6 default route will disappear after about 5 minutes (not good). Lastly, in order to make this all work when the Pi is rebooted, we have to hack at /etc/rc.local a bit to make sure the bridge is brought up and systemd is minding it at boot up time. 4) Create/Edit /etc/rc.local and add the following, and don’t forget to make it executable. As you can see, br0 has all the IPv4 and IPv6 addresses which is what we want. Now you can go back to headless access (via ssh) if you are like me, and the Pi is usually just sitting on a shelf (with power and network). Once setting up the br0 interface is done, we can install lxd and lxd-client. Linux Containers has been evolving of the years, and it is now (as I write this) up to version 3.0.2. There is quite a bit on the internet about older versions of Linux Containers. If you see hyphenated commands like lxc-launch then stop and move to another page. 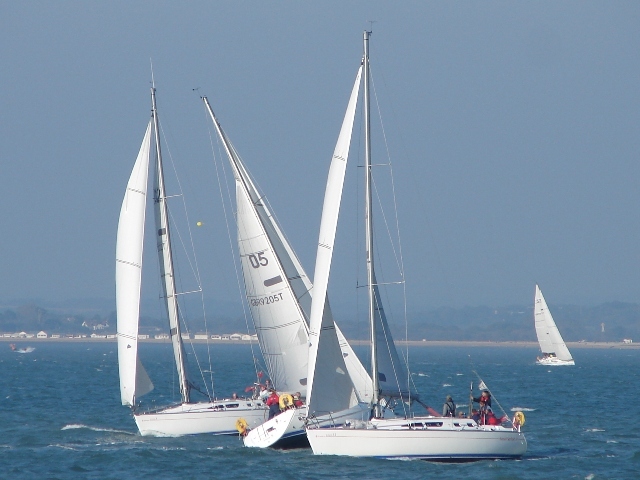 Hyphenated commands are the older version 1 or 2 of Linux Containers. Canonical has a nice Try It page, where you can run LXC/LXD in the comfort of your web browser without installing anything on your local machine. The Try It sets up a VM which has IPv6 access to the outside world, where you can install and configure LXC/LXD, even create Linux Containers. It is well worth the 10 minutes to run through the hands on tutorial. Add yourself to the lxd group so you won’t have to type sudo all the time. On the Pi, LXD will take a while to think about all this, just be patient (might be 10 minutes or so). Since we took all the defaults of lxd init it created another bridge on the system lxdbr0 which the YAML file would lead you to believe it is also bridged to the outside world, but it is not. 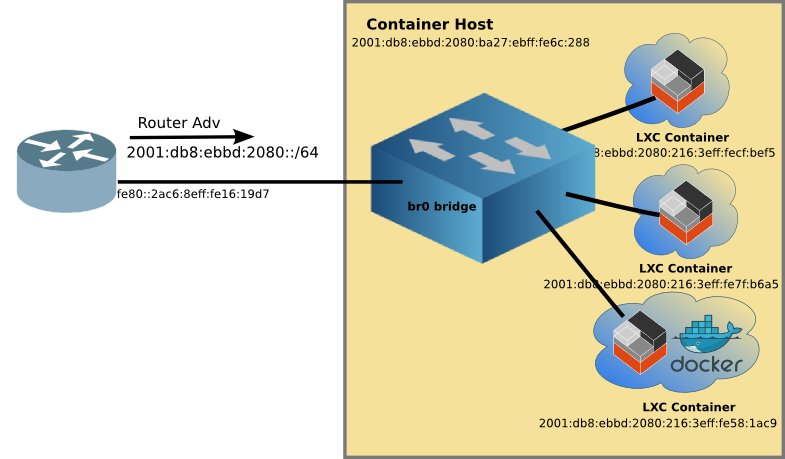 The default config is similar to Docker, in that it creates a lxdbr0 bridge which uses NAT44 and NAT66 to connect to the outside world. You may notice the bottom LXC container with Docker, more on this later. LXD will automatically download the Alpine Linux image from the Linux Containers image server, and create a container with the name alpine. We’ll use the name alpine to manage the container going forward. You will note that the container has not only a IPv4 address from my upstream DHCP server, but it also has an IPv6 GUA (and in this case, an additional IPv6 ULA, Unique Local Address). The alpine container has a GUA because we used two -p (profile) parameters when creating it. The first is the default profile which as I mentioned earlier is set up for NAT4 and NAT6. And the second is the extbridge profile we setup as a profile. The lxc launch command pulls in the YAML info from the default profile, and then overlays the extbridge profile, effectively overwriting the parts we want so that the alpine container is attached to br0 and the outside world! Of course, what good is starting a Linux Container if all you can do is start and stop it. A key difference from Docker is that Linux Containers are not read-only, but rather you can install software, configure it the way you like, and then stop the container. When you start it again, all the changes you made are still there. I’ll talk about the goodness of this a little later. And you are back on the LXC Host. And with that webserver image, I can replicate it as many times as I have disk space and memory. I tried 10, but based on how much memory it was using, I can get to twenty on the Pi, with room for more. All of the webservers have their own unique IPv6 address, and all of them are running on port 80, something that can’t be done using NAT. Unlike Docker, LXC containers retain the same IPv6 address after being start and stopped. And if you are starting multiple containers, the order of starting doesn’t change the address (as Docker does). DNS is your friend when using IPv6. With DNS entries, I can point my web browser to the servers running on these containers. I can even ssh in to the container, just like any host on my network. Here’s a chart to show the key differences between Docker and Linux Containers. A key advantage to Docker is the last one, The sheer number of Docker containers are amazing. But what if you could have the best of both worlds? 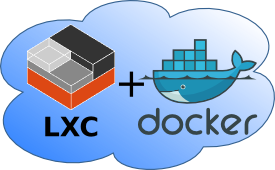 Since LXC containers are customizable, and also since it is easy to make a template image and replicate containers based on that template, why not install Docker inside a LXC Container, and have the best of both worlds? And now Docker nginx is up and running inside Docker, inside a LXC Container with dual-stack predictable addressing and transparent bridging. Looking at the running LXC containers, it easy to spot the one running Docker (hint: look for the Docker NAT address). Now that there is a template image, docker_image it is a breeze to spawn multiple LXC + Docker Containers. Don’t want them all to run nginx webservers? Easy, step into each, delete the nginx webserver and run of of the other thousands of Docker Containers. LXC is the best at container customization, and networking (IPv4 and IPv6). Docker is the best in the sheer volume of pre-built Docker containers (assuming you select the correct architecture, armhf for the Pi). With LXCs flexibility, it is easy to create templates to scale up multiple applications (e.g. a webserver farm running in the palm of your hand). 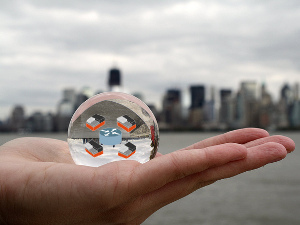 And with LXC, it is possible to over come many of Dockers limitations opening up the world of Docker Containers to the LXC world. The best of both worlds. What makes a good IPv6 implementation? I have been working with Docker lately, and as cool as the container technology is, it was originally built without consideration for IPv6, and then IPv6 was bolted on later. Making supporting IPv6 full of expensive work-a-rounds. But that got me thinking what makes a good IPv6 implementation? Of course this is my opinion, and you are free to toss in other criteria, so think of this as a thought starter. C) have to be completely rewritten. There are broad areas where IPv6 should work well. Play well with DNS. Very few of us enjoy typing IPv6 addresses, the implementation should have a stable IPv6 address which can be entered into DNS without requiring a lot of DNS churn. IPv6 is not IPv4 with colons. There are somethings which are different for good reason. Default routes are link-local addresses (Docker fails on this one big time). GUAs may change, link-locals shouldn’t. If the device is routing (such as Docker) then support DHCPv6-PD, and provide the option of prefix delegation into the container/downstream network. Basic protection from network misconfiguration, or out right attacks makes the IPv6 device better prepared for production use. Rational limit on the number of IPv6 addresses an interface may have. Before systemd, the Linux kernel defaulted to 16. This seemed like a good compromise. Back in systemd v232, it was possible to exhaust memory on an IPv6 host by feeding it Random RA addresses, creating a denial of service. FreeBSD v11.5 has a similar problem, where the system will add over 3000 IPv6 addresses, and the system will slow to a crawl. Rational limit on the number of neighbours. IPv6 /64 networks are sparsely populated and therefore one shouldn’t have to expect to support all 16 Quintilian (2^64) neighbours. Something like 1000, or even 256 should be enough. Don’t assume that the Linux Stack has your back. Since systemd has become widespread, there are many IPv6 systemd bugs, which weren’t there in the pre-systemd kernel days. IPv6 is a different stack, be sure to test it. I am sure I missing a few, but this is a start. When developing a product, the business case for supporting IPv6 well, is that it will save you money in the long run, by not having to go back and try to bolt IPv6 on, or rewrite your network stack later. P.S I wouldn’t recommend putting Docker into production because of the severe IPv6 limitations. I’ll be looking at LXC next. RIPE held an IPv6 Education seminar in Amsterdam on this year’s World IPv6 Day (6 June). There were 18 presentations in seven hours. Lots of good presentations, here some of the highlights. The good news is that IPv6 deployment continues to increase with Mobile operators taking the lead. Sadly, there are still IPv4-only sites out there in the world. We are going to need Transition Mechanisms to get there. 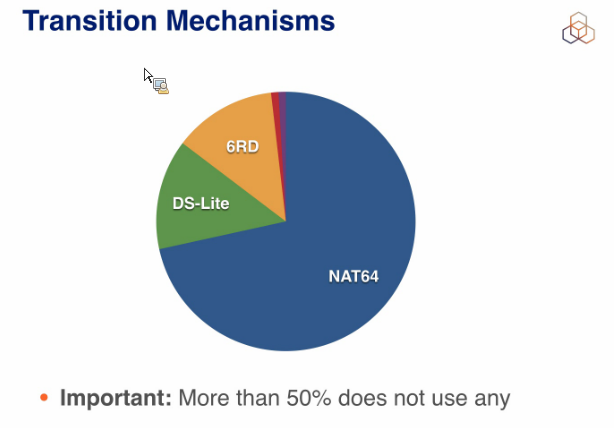 NAT64 is not without its problems, most notably, it breaks DNSSEC. But its cousin, 464XLAT does not break DNSSEC, and it provides IPv4 support for the Apps which, unfortunately, still use IPv4-only socket calls. There was also good guidance on how to get to IPv6-only. After all, dual-stack is not the end goal, but a transition mechanism to get to IPv6-only. OpenWrt routers already support a CLAT client, making 464XLAT even easier to deploy. Lastly, it was pointed out that the cost of computing continues its downward trend while the cost of IPv4 addresses is increasing. And this has proven to be one of business case drivers for some Cloud Providers to move to IPv6-only. 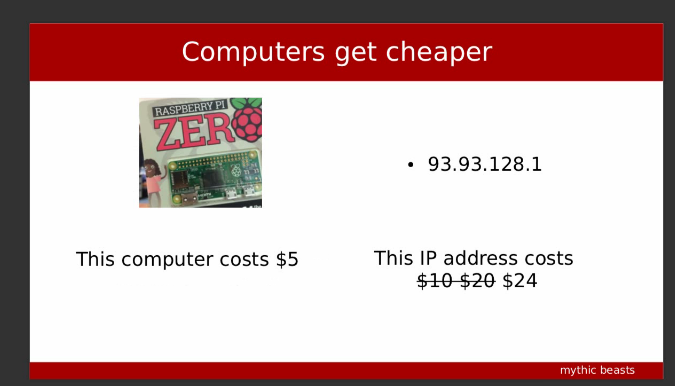 One can now buy a Raspberry PI Zero for $5, and the IPv4 address for that computer is going to cost nearly 5 times as much. The IPv6 Educa was well attended, with about 150 people online, and was quite timely given that 6 June was the 6th anniversary of World IPv6 Launch Day (in 2012). The Educa Agenda and recording can be found online. I was recently setting up an OpenWrt router as a Managed AP (Access Point), but was having challenges setting up a global IPv6 address on the device. I could have put a static IPv4 address on the device, but it is on my IPv6-only network, and that just seemed like the wrong direction. 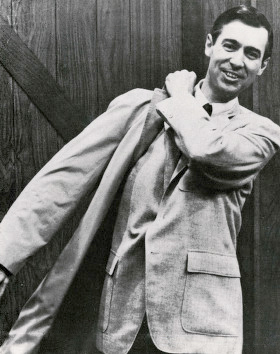 Then it occurred to me I had a tool, like the slingshot in my back pocket, which I could use: the link-local address of the AP. After all, every IPv6 interface has a link-local address. Of course this has the limitation that the PC must be on the same link, but that less of an issue for me that putting on an IPv4 address in an IPv6-only network. Link-local addresses can also be used, when your network has gone terribly wrong, such as RAs (router advertisements) are no longer being sent, and you still need to get to that device to fix it. The AP also has a web interface which can transform a complex configuration into a click of the mouse. But using Scoped Addresses in your browser isn’t as straight forward as it would seem. But, wait, the percent sign is used to escape characters in a URL. So if we escape the percent sign, then the URL should be http://[fe80::6a1:51ff:fea0:9338%25wlan0]/. Unfortunately, this doesn’t work. Unfortunately, this doesn’t work in most browsers. The browser manufactures have decided to not implement RFC 6874. In some cases like Chrome, publicly saying that it isn’t worth the effort to parse the URL. Firefox also decided they won’t fix this issue. Even the w3.org which makes a reference browser Arora, has decided it won’t fix this lack of conformance to RFC 6874. Now return to your favourite browser, and use the URL localhost:8080 and magically you will be transported to your device (in my case my AP) using the scoped link-local address. Not the prettiest of solutions, but until the Browser folks realize there is a need for scoped link-local address it is what we have. Using Link-Local Address as a last resort, when the network has gone wonky, or when the device won’t take a GUA (Global Unique Address), can be very useful. 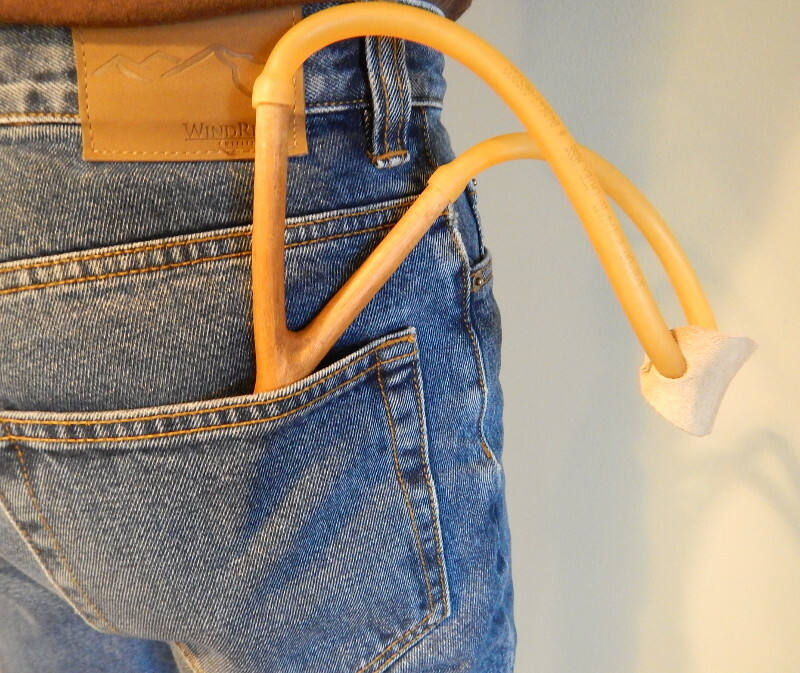 Keep it in your back pocket (like a slingshot) for when you really need to get there using IPv6. Moving to IPv6 starts at home. Applications have to speak IPv6 as well as the network. The good news is that there is lots of software available which already supports IPv6. Unfortunately, there is much more that doesn’t. An example, a Python-based webserver. Certainly not ready for a production network, but handy as a learning tool about how easy it can be to support IPv6 in your application. However it does not support IPv6. There is no one-line equivalent to support IPv6, so a small script is required. This creates a new class (which is used in our server ) with the address_family set to AF_INET6 (aka IPv6). This two-line change to the script transforms an IPv4-only script into an application that also supports IPv6. As you can see, it doesn’t have to be difficult to add IPv6 to your apps, you just need to give it some thought when planning your App. By adding IPv6, you will future proof your App by being ready for the future of the Internet.